An artist's rendering of the as-yet-unnamed planned development on the former Hudson's site. 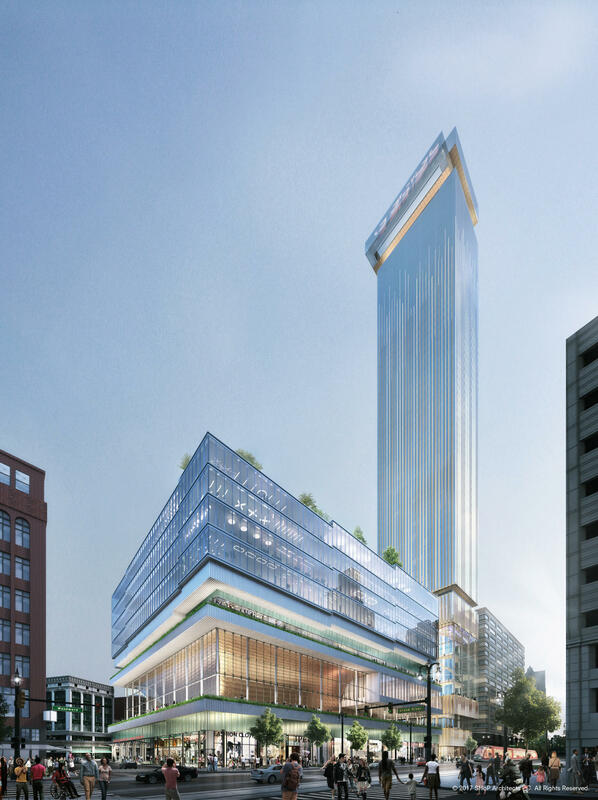 That’s what developer Dan Gilbert said Thursday at the groundbreaking for a project set to transform the city's skyline. 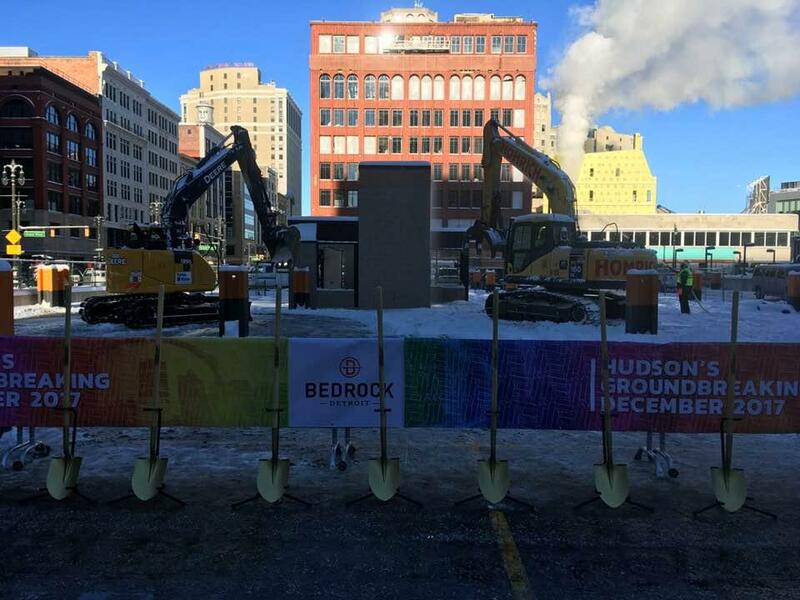 The $1 billion dollar project is going up on the former site of Hudson’s Department Store. The store closed in 1983, and the building was imploded in 1998. The new development includes an 800-foot glass residential tower that will become the city’s tallest building. It will be topped with an observation deck, as well as a 12-story adjacent development that will include ground-floor retail and other offerings. Gilbert noted Detroit already has some beautiful buildings. “But they’re mostly from a long time ago. In this building, we want to bridge the past to the future,” he said. Detroit Mayor Mike Duggan recalled how iconic Hudson’s once was in downtown Detroit’s landscape, and how the site — which has been a city-owned underground parking garage for nearly 20 years — symbolized Detroit’s failure to redevelop. This is just one of a number of projects Gilbert's Bedrock commercial real estate arm has going that are re-shaping downtown Detroit. Duggan and Gilbert both praised Gov. Rick Snyder and Lansing lawmakers for new state laws that increased tax incentives for “transformational brownfield development.” They said the project wouldn’t have been possible without the new incentives, which expand the taxes developers can capture to include new sales and income taxes. Amina Kirk is with Detroit People’s Platform. She says Gilbert’s Bedrock group didn’t make a good-faith effort to negotiate a community benefits agreement with downtown residents. “Bedrock has not given the residents anything they wanted from the Neighborhood Advisory Council,” said Kirk. She says that included things like on-site affordable housing and below-market-priced retail space for Detroit small businesses. Bedrock representatives have said the company took the community benefits process seriously, and incorporated a number of suggestions from residents into the development plans. Wayne County announced Friday it's scrapping plans to complete construction on its stalled jail project on Gratiot Avenue near Greektown. It will instead pursue Quicken Loans founder Dan Gilbert's offer to build a brand new, $380 million criminal justice center at a different location in Detroit. Chicago-based Walsh Construction was the lone bidder to submit a proposal to complete the roughly $400 million Gratiot project. Dan Gilbert's Rock Ventures offered to build a jail at a new location in Detroit in exchange for the current jail site. Detroit has a city ordinance that requires most big project developers to negotiate benefits packages with neighborhood groups. But some members of those groups say the process has been a sham so far. They’re calling on the Detroit City Council to give the ordinance more teeth. Detroit voters approved one of two competing community benefits agreement last year. 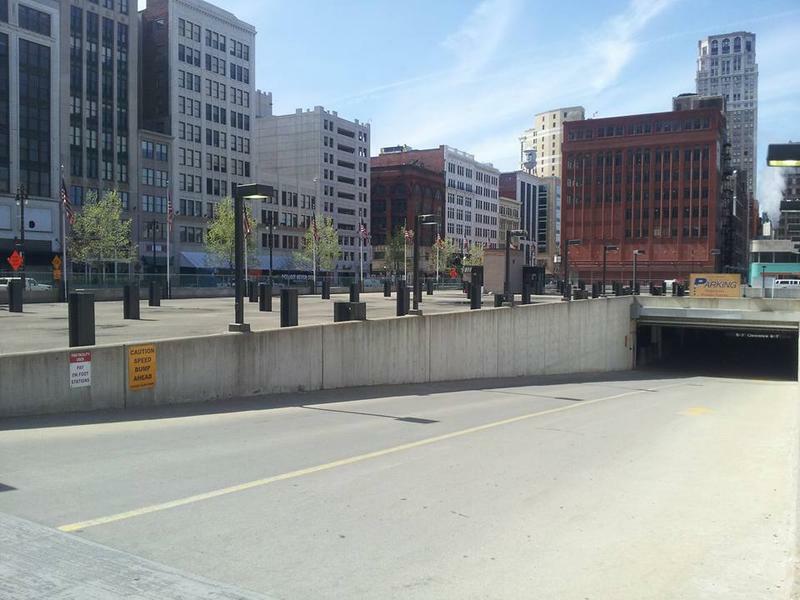 A plan to build a multi-million dollar soccer stadium in downtown Detroit appears dead. 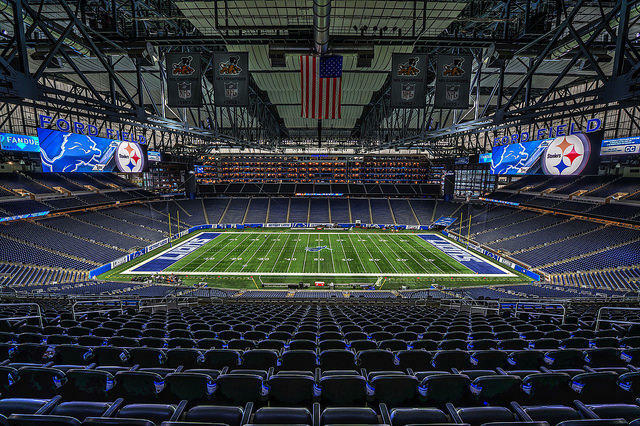 Billionaire businessmen Tom Gores and Dan Gilbert have struck a deal with the Ford family to use Ford Field for a future Major League Soccer franchise. Gores and Gilbert have been bidding for a future MLS franchise for more than a year. The league is expected to announce its expansion plans next month.